PT Kaltim Prima Coal - KPC is well-established mining company in Indonesia with core competencies in coal mining industry. PT Kaltim Prima Coal is widely known nationwide as one of the largest coal mining companies in Indonesia. KPC has installed total annual production capacity of 50 million tonnes per year. According to PT Kaltim Prima Coal's company profile as cited by JobsCDC.com, PT Kaltim Prima Coal is based in Sangatta East Kalimantan and now has 90,938 hectares of coal mining concessions in Sangatta and Bengalon of East Kutai Regency at the East Kalimantan Province. PT Kaltim Prima Coal now has representative offices in Jakarta, Samarinda, and Balikpapan. PT Kaltim Prima Coal supported by 5,200 employees and 21,500 personnel from contractors and associated companies. PT Kaltim Prima Coal is a key subsidiary company of PT Bumi Resources Tbk, one of the largest natural resources business group in Indonesia which focused primarily on coal mining industry. PT Bumi Resources Tbk acquired 100% stakes of KPC in October 2003. Tertiary degree (S1) in Mechanical Engineering from a reputable university. 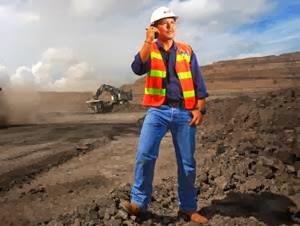 At least 5 years of experience in construction project and/or bulk handling and/or mining environment. Comprehensive understanding and experience in implementing Project Management Body of Knowledge (PMBOK) by managing a number of large-scale projects. Have a good understanding of mining industry. Strong knowledge in Mechanical Standards and Codes. Technical senior High School/SMK or D3 in Electrical. Holds 6 years plus related experiences for D3 or 10 years plus of related experiences for SMK. Have a good knowledge of National and International Electrical Standards. Have a good understanding about Project Management tools and techniques. Tertiary degree (S1) in Human Resources Management, Psychology, Industrial Engineering, or other related disciplines. At least 3 years of relevant experience in competency modeling, competency assessment, assessment tools development, employee development, and competency system. Have a good knowledge of up-to-date human resources and competency management issues. Strong sense of analytical thinking, good problem-solving and time management competencies. Strong interpersonal and communication skills in English and Bahasa Indonesia. Demonstrated good presentation and facilitation skills. Tertiary degree (S1) in Geology from a recognized tertiary Institution. At least 3 years experiences in geology exploration / mining. Have a good understanding of the quality and properties of the coal. Extensive software skills such as Microsoft Project, Microsoft Access and Microsoft Excel. Have driving license class A (SIM A) and off road driving experience. Common sense basic bush/jungle survival skills. Hold an S1/S2 majoring in Informatics Engineering, System and Technology Information, Electro Engineering, Computer Science, Computer Engineering, and Business Information Technology. Maximum age of 25 years old (for S1) or 28 years old (for S2) in the year of admittance. Fluent in English (minimum at Intermediate level). JobsCDC.com now available on android device. Download now on Google Play here. Please be aware of recruitment fraud. The entire stage of this selection process is free of charge. PT Kaltim Prima Coal - SMK, D3, S1 Fixed Term Position KPC October 2017 will never ask for fees or upfront payments for any purposes during the recruitment process such as transportation and accommodation.